La Maison du Bitcoin opened its doors yesterday, right in the middle of the Sentier district of Paris – 35 rue du Caire. 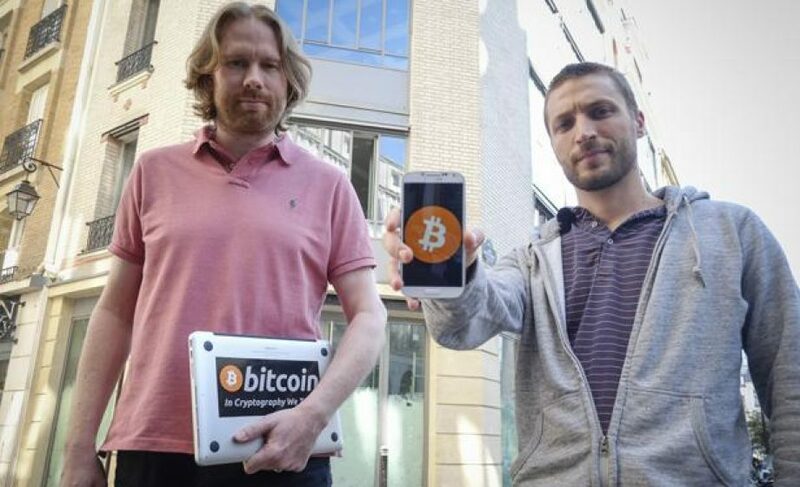 The space was created and will be run by Thomas France and Eric Larchevêque, two seasoned entrepreneurs and bitcoin advocates. They founded the price comparison and shopping app Prixing together in 2011. La Maison du Bitcoin will welcome entrepreneurs wishing to build projects related to Bitcoin and its protocol in its 220m2 co-working space. There they’ll have access to workshops, meetups, hackathons and specific accountancy and legal advisory. Anyone can also come to La Maison du Bitcoin to simply learn more about cryptocurrencies and their underlying protocol, and to buy BTC, particularly via a bitcoin ATM that was set up in the Maison’s lobby. I was one of the first happy testers during yesterday’s launch! Verdict: it works and it’s also a great evangelization tool: it definitely is the simplest way to have access to bitcoin – no verification required, no banking information to give away, just BTC for cash. La Maison du Bitcoin’s goal is to develop the Bitcoin ecosystem by supporting local Bitcoin startups. La Maison du Bitcoin makes it easy to have access to bitcoin. La Maison du Bitcoin aims at making France a major Bitcoin ecosystem. Chronocoin: buy your bitcoin with your debit card, and store them on a Chronocard. Having a dedicated space in France for Bitcoin is essential as the public and the government are still very suspicious of cryptocurrencies. This launch definitely is a first step towards more understanding and more curiosity around cryptocurrencies, which will in the long term deeply change quite a few things in how we process our transactions, how much we’re willing to pay for these to be processed, and more globally how we transfer value from one person to another and how we view the role of trusted third parties. If you’re a sceptic, here and here are two reads I would highly recommend. Besides this launch, a few steps were made in France and Europe to support Bitcoin adoption: the French Senate held a hearing about Bitcoin last January, InnoCherche organized a think tank last April during which Stanislas Marion, bitcoin trader and financial writer for BitcoinWeekly, highlighted a few points about Bitcoin and its European ecosystem, and Bitcoin France is very actively discussing with the French government so that smart regulations are implemented around Bitcoin. Almost simultaneously, Poland also opened its own Bitcoin embassy in Warsaw. La Maison du Bitcoin’s co-working space will be ready to welcome entrepreneurs next Monday. There are around 20 spots available. To apply, you just need to reach out to Eric and Thomas via their website. The deal is simple, it’s 250 euros per month. The first bitcoin hackathon will take place soon: June 14th to June 16th, so keep an eye out for the opening of applications.